The best river cruises offer the spectacle of ocean voyages but with all the intimacy and care of a boutique hotel. River cruises exist wherever there are rivers (conveniently, everywhere), and Travel + Leisure’s writers and editors keep track of the best routes and operators. What’s in a River Boat? River boats, which can hold up to 190 passengers, are substantially smaller than ocean cruise ships—many of which can carry well over 6,000. So, while traditional cruise ships can reach far flung destinations like Tahiti or the Arctic Circle, river boats have the ability to visit inland cities and towns, like Memphis (Egypt and Tennessee), that oceangoing ships can’t. River boat excursions also tend to be more cultural—in contrast to the adventure-oriented activities of a Caribbean or Alaskan journey—and more intimate, usually offering only one restaurant and relying on more intimate amusements, from folk music performances to language lessons, as opposed to the large-scale entertainments of traditional cruise ships. 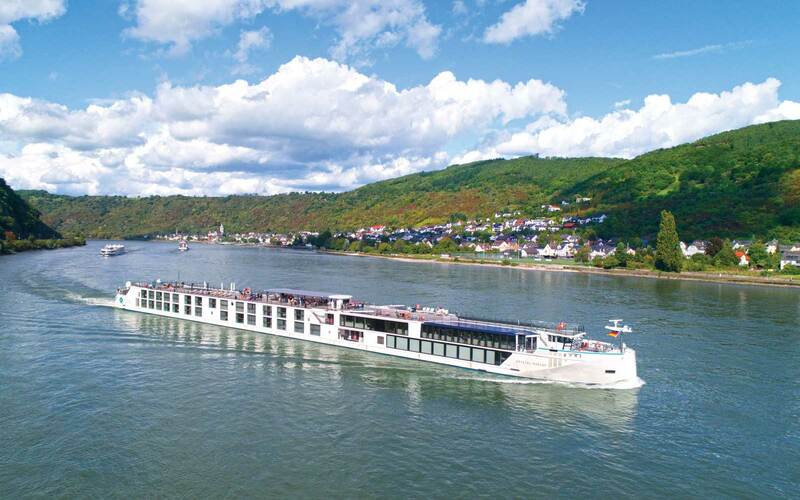 Overall, most river cruises are adult oriented: you won’t find a water park or 24-hour arcade on board these vessels. While the price tag per day is often higher than their average oceangoing counterparts, river boat passengers will find more amenities included in their base fare, like free WiFi and excursions. Rome’s first emperor, Caesar Augustus, declared that the natural northeastern borders of the Roman Empire were the Rhine and Danube rivers. The Rhine begins in the Swiss Alps and runs past Austria, Liechtenstein, Germany, and France before emptying into the North Sea in the Netherlands. The Danube begins in Germany’s Black Forest and flows nearly 1,800 miles through or by Austria, Slovakia, Hungary, Croatia, Serbia, Romania, Moldova, and Ukraine, where it terminates in the Black Sea. On the Rhine, passengers sail past the city of Cologne, the ruins of Heidelberg Castle, and the windmills and waterworks of the Netherlands. On the Danube, see the wonders of Vienna while listening to Johann Strauss’s “Blue” waltz, which takes the river as its namesake. River cruises have been plying the Nile since the days of the pharaohs, though shifting political realities can complicate booking a journey. Across Asia, river boats travel up the Mekong River in Cambodia and Vietnam, Myanmar’s Irrawaddy and Chindwin rivers, India’s holy Ganges, and past China’s scenic Three Gorges on the Yangtze River. In Brazil, the Amazon beckons. In the United States, the Mississippi River is seeing a renewal in river cruises. Check back here for the most recent developments, information, and recommendations. What's the Difference, Really, Between Ocean Cruising and River Cruising?